Everyone knows that regular exercise and weight training lead to physical strength. But how do we strengthen ourselves mentally for the truly tough times? And what should we do when we face these challenges? Or as psychotherapist Amy Morin asks, what should we avoid when we encounter adversity? Through her years counseling others and her own experiences navigating personal loss, Morin realized it is often the habits we cannot break that are holding us back from true success and happiness. In business, the right behaviors matter. But getting it right is tricky. Even when we acknowledge the need to change what we do and how we do it, life has a habit of getting in the way, upsetting even the best-laid plans. And just how do we manage those situations that can provoke even the most rational among us into behaving in ways we would rather forget? The 5 Elements of Effective Thinking presents practical, lively, and inspiring ways for you to become more successful through better thinking. The idea is simple: You can learn how to think far better by adopting specific strategies. Brilliant people aren't a special breed--they just use their minds differently. Should be Prerequisite for College!!! Exploring a wide range of everyday topics - from credit card debt and household budgeting to holiday sales - Ariely and Kreisler demonstrate how our ideas about dollars and cents are often wrong and cost us more than we know. Mixing case studies and anecdotes with tangible advice and lessons, they cut through the unconscious fears and desires driving our worst financial instincts and teach us how to improve our money habits. This financial literacy book is different--and funny! Former general Stanley McChrystal held a key position for much of the War on Terror, as head of the Joint Special Operations Command. In Iraq he found that despite the vastly superior resources, manpower, and training of the US military, Al Qaeda had an advantage because of its structure as a loose network of small, independent cells. Those cells wreaked havoc by always staying one step ahead, sharing knowledge with each other via high-tech communications. We are not positive because life is easy. We are positive because life can be hard. As a leader, you will face numerous obstacles, negativity, and tests. There will be times when it seems as if everything in the world is conspiring against you and your vision seems more like a fantasy than a reality. That's why positive leadership is essential! Positive leadership is not about fake positivity. It is the real stuff that makes great leaders great. In Smart Money Smart Kids, financial expert and best-selling author Dave Ramsey and his daughter Rachel Cruze equip parents to teach their children how to win with money. Starting with the basics like working, spending, saving, and giving, and moving into more challenging issues like avoiding debt for life, paying cash for college, and battling discontentment, Dave and Rachel present a no-nonsense, common-sense approach for changing your family tree. Why do some people perform better at work than others? This deceptively simple question continues to confound professionals in all sectors of the workforce. Now, after a unique, five-year study of more than 5,000 managers and employees, Morten Hansen reveals the answers in his "Seven Work Smarter Practices" that can be applied by anyone looking to maximize their time and performance. Each of Hansen's seven practices is highlighted by inspiring stories from individuals in his comprehensive study. 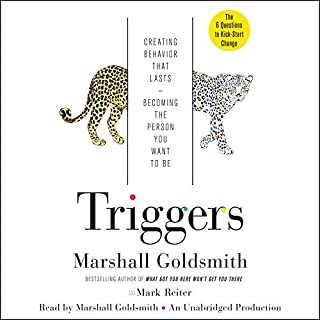 In The Marshmallow Test, Mischel explains how self-control can be mastered and applied to challenges in everyday life - from weight control to quitting smoking, overcoming heartbreak, making major decisions, and planning for retirement. With profound implications for the choices we make in parenting, education, public policy and self-care, The Marshmallow Test will change the way you think about who we are and what we can be. Not a sweet solution pill, but still can be swallowed. If you want to change the world, start off by making your bed. On May 21, 2014, Admiral William H. McRaven addressed the graduating class of the University of Texas at Austin on their Commencement day. Taking inspiration from the university's slogan, "What starts here changes the world," he shared the 10 principles he learned during Navy Seal training that helped him overcome challenges not only in his training and long Naval career, but also throughout his life; and he explained how anyone can use these basic lessons to change themselves - and the world - for the better. Admiral McRaven's original speech went viral with over 10 million views. Building on the core tenets laid out in his speech, McRaven now recounts tales from his own life and from those of people he encountered during his military service who dealt with hardship and made tough decisions with determination, compassion, honor, and courage. 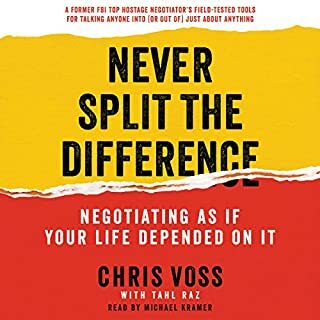 Told with great humility and optimism, this timeless book provides simple wisdom, practical advice, and words of encouragement that will inspire listeners to achieve more, even in life's darkest moments. There is a YouTube video of Admiral William H. McRaven giving a commencement speech at the University of Texas. It is about following ten principles that he learned from Navy Seal training to change himself and to change the world. This book adds depth to the ten principles with stories from his years in military service. Watch the video first. If you enjoy that, you'll probably enjoy the book. Military analogies for life lessons might not appeal to everyone. At 66 years old, I thought for sure my character was well-crafted and established for the rest of my life. I believed that I had read most all of the important authors and had been exposed to the most important Concepts for a successful life. This book, in its simplicity, has introduced me to a new code for action. Know I have a new Mantra to repeat every morning. It comes in the form of a list that I hand-wrote after reading this book. 10 points to live by. As I write this I look forward to a better life because of making my bed. I hope you will enjoy it as much as I did. A book about a man's lessons learned from life in the military, especially bootcamp. I thought the author's insight was interesting, but i really didn't think it was very deep, just mostly impassioned. I did appreciate the reminder that even planning and hard work doesn't always pay off the way we think it will, and that sometimes life challenges are rewarding in their own way. This book is one of the best concise guides on how to change your outlook on life but also lead it to your fullest potential! Totally found it on accident while looking for something new to read. Highly recommended. Get over being a sugar cookie!! Truly spectacular, I really needed to hear this message. Directly applies to my life in the private sector and I have listened to it more than once, it was fantastic listening to Admiral McRaven present the book in his own voice. 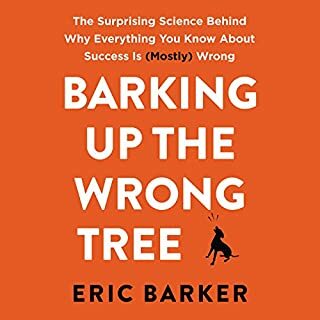 You don't expect the candor or to hear of his failures-----MUST MUST Read/listen you won't regret the purchase! If all men and women aspired to be half of what this man stands for, our world would be a better place to live. 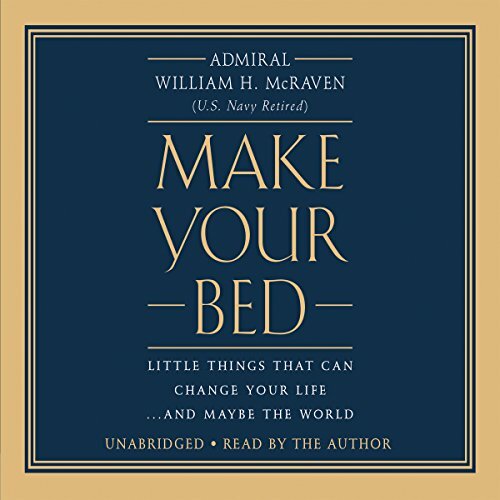 This book should be required reading for all schools and a class should be developed to help kids understand the deeper meaning that Admiral William H. McRaven is trying to get across. The best book I’ve ever listen to. 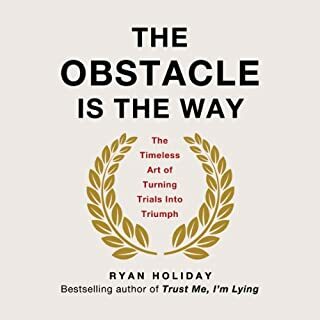 The best book I have ever listened to!! Thank you McCraven for writing AND narrating this book! I know it will change my life from here forward, and only wish I had read it when I was a child. Your work will not be in vain! One of the higher "value for word" books I've read. Admiral McRaven is inspiring without being preachy, and comes across as both extremely knowledgeable and extremely humble. Simple but profound stories of courage, heroism, dedication. Will definitely listen to this one again and again. 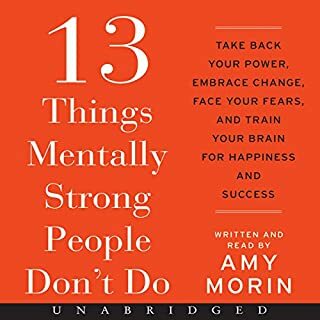 Listening to Gen McRaven's amazing voice totally makes this story on Audible worthwhile, never mind that it is, hands down, the most inspirational story I've ever heard! Listened to this in a dark moment. "Life constantly puts you in situations where quitting seems so much easier than continuing on. Where the olds are so stacked against you, that giving up seems the rational thing to do. " 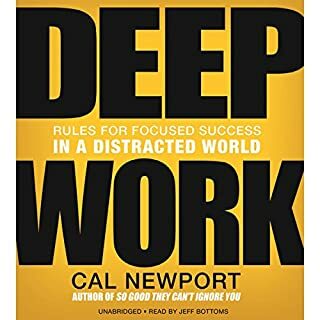 I heard about this book from a podcast interview and liked the sound of this book. I even put aside my reservations about the price (just under £10), given such a short book. However, just about everything mentioned in the book was covered in the 20-40 minute podcast and the book seems to repeat itself at times. Perhaps a shorter book and much lower price would make this work. There is 4-5 star advice given, but quite a lot of padding. A great inspiration. Some wonderful life lessons that I will be passing onto my children. Highly recommended.